This groundbreaking telescope would have the ability to see up to 120 Trillion miles into outer space and discover life beyond Earth. Dubbed as ELF—which stands for ExoLife finder—the telescope would search the universe for ‘chemical fingerprints’ of life on the surface of distant alien worlds. The telescope would have the capability of snapping images go distant alien continents and oceans. The best part, you can be a part of it. The project is currently on Kickstarter raising funds. Once the telescope is constructed, it will start searching the cosmos with one main goal: Finding alien life, whether it’s small or big.In order to do so, it will start off by exploring its first target—an alien world located in the Proxima Centauri system dubbed as Proxima B thought to orbit its host star within its habitable zone. This star system is our closest neighbor located around 4.2 light-years away. This massive alien hunting telescope will be composed of sixteen 5-meter mirrors, based on printed mirror technology according to reports from the Planets Foundation. Once finished, the telescope is expected to be 25 meters wide and will be located in the Atacama Desert in Chile. 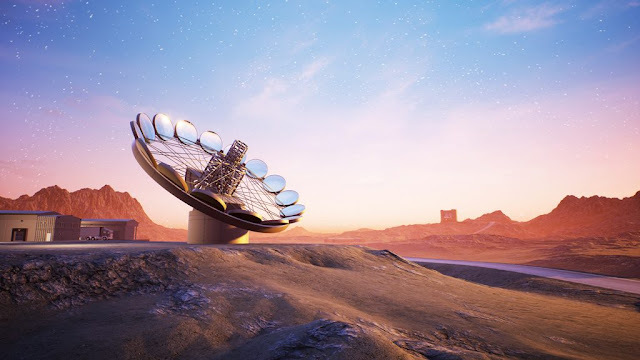 According to initial reports, the ELF telescope would have the ability to explore distant alien worlds located within 25 light-years from our sun. Most excitingly perhaps, it will have the ability to explore the nearby Alpha Centauri System. Alpha Centauri is of great interest for Astronomers. Once the ELF telescope is finished, experts plant to search the neighboring star system and its possible planets for evidence of life as we know it. Experts will use the telescope to sniff out energy signatures of life in its atmosphere, as well as search the planets’ atmosphere and detected water, oxygen, methane as well as ozone.